How do I use this new Mobile Coverage? In short – just use your current mobile phone as you normally would. The Mobile Black Spot Fund (MBSF) extends mobile cellular coverage to certain sections State Highways and to certain tourist locations around the country where currently there is no coverage. Customers of all three current New Zealand mobile network operators will be able to use the new MBSF coverage. It will just show up as network coverage like everywhere else in New Zealand where the mobile network operator has coverage. The focus of MBSF coverage on State Highways is to improve public safety. The sections of State Highways that will receive new MBSF coverage have been determined based on the longest ‘black spots’ (with no coverage from any mobile network operator), the highest traffic volumes and the highest incident rates. The main public safety benefit of new MBSF coverage is to reduce or eliminate drive time to mobile coverage so that emergency services can be called and notified in case of an incident on the road. 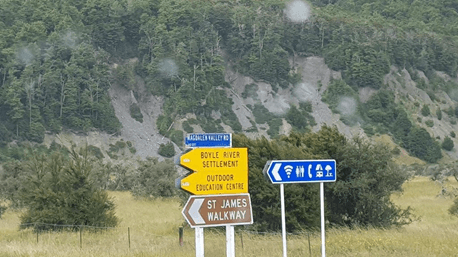 To achieve this, there will be ‘islands of coverage’ along State Highways where customers of all of New Zealand’s current mobile networks will be able to connect to any network and make a call. The coverage is the same as other 3G mobile cellular coverage around New Zealand. HOW will I know where I can get coverage? Your mobile phone will then show bars of coverage as normal and you will then be able to make a call or send a text message. As long as you are a current customer of a New Zealand mobile network, you will be able to contact emergency services by dialing 111.